My husband Andy cringes at the mention of home repair or remodel. But somehow I have managed to drag him into flooring, lighting and even a little minor plumbing. He has never taken part in my fetish for furniture refinishing, although he is always so amazed when my projects come together. 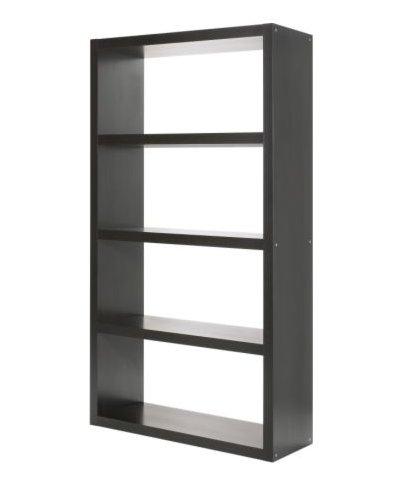 For a long time I have been wanting to build book cases, I was going to chicken out and just buy some from Ikea, but the measurements weren't quite right, and let's face it...those things are crap! I found this amazing website, that is run by the super-woman of construction Ana White. At www.ana-white.com you can find building plans for hundreds of pieces of furniture. I have pinned at least 10 things I want to build...HA! But I have to start somewhere, or seriously I am giving up Pinterst! For our first project, and this is going to take Andy and I both, we are building a bookcase for his office area. It is a replica of the Ikea Lack Bookcase, but will be made of solid pine and 2 1/2 inch wood screws. The plans are so easy to follow, there are three-dimensional pictures and even a cut list you can take to Home Depot (or Lowes if you like) and have them cut the wood for you! And...drum roll, the total cost for this project so far $40. I say so far, because well...that is just how things go when Andy and I do a project! My master-plan has us building these shelves for every room...I don't know if I have mentioned that to Andy or not. I'll break it to him one glorious trip to Home Depot at a time! Just picture this with espresso stain! Between new bookcases and my Lent purging plan, our home should really start to come together. I'll post pictures of the finished project as soon as possible! Your personality shines right through in your writing!!! I love your blog and ummm butter! Thank you so much Misty, excited you are following!